ATTENTION! This webpage is hosted on EthicsPoint's secure servers and is not part of the Diocese of Erie website or intranet. The Diocese of Erie appreciates your commitment to ethics and responsible conduct. The Diocese of Erie has a firm commitment to financial transparency and fiscal responsibility. To fulfill our mission as faithful stewards over the gifts which are shared with us, we must perform our work in an ethical and accountable manner. There are various procedures already in place within the Diocese of Erie to help ensure accountability and transparency. An external audit of the finances of our central administration is conducted each year and those results are reported back to the Catholic community on our website. Each parish is mandated to have a Parish Finance Council whose members assist the pastor on business matters and practices. Parishes are also expected to provide an annual report to the parish community. Furthermore, we have an internal audit function that monitors compliance with diocesan policies and procedures and offers guidance to our clergy and parish staffs. In a further effort to augment financial accountability and proper stewardship, the Diocesan Finance Council has recommended that a Financial Misconduct reporting system be implemented. 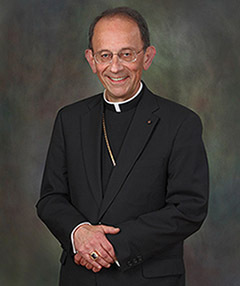 This system will provide employees, volunteers, parishioners, and other interested parties to share their concerns, confidentially if they wish, about any suspected financial improprieties or misconduct such as embezzlement, theft, or conflict of interest within the Diocese, our parish communities, or related entities. The use of such a fraud hotline has become a common practice among Catholic dioceses and other non-profit organizations. We have partnered with EthicsPoint, an independent, third-party company to administer this online service for reporting financial misconduct. Reports may be filed confidentially via the web by choosing the “Make a Report” link or by telephone to one of EthicsPoint’s trained specialists at 1-844-239-0560. Thank you for your support and interest in working with us to become better stewards of the gifts which God has given us.